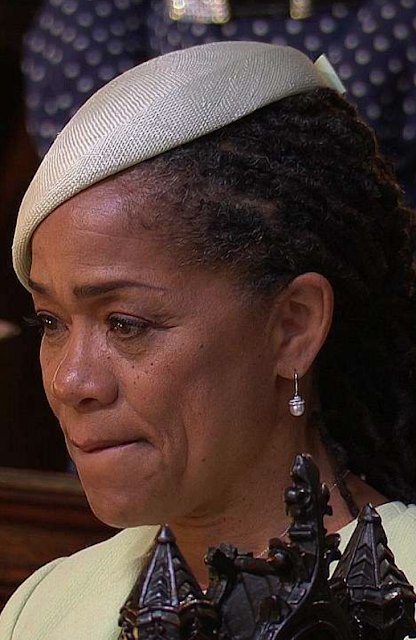 If you watched Meghan Markle's and Prince Harry's wedding, you may have noticed Meghan's Mum - Doria Ragland. In these two images, taken seconds apart, we see Ms. Ragland with her lips rolled inward. Note that in these particular examples, her lower lip is doing so to a greater degree - but very often both the upper and lower lips are fully enveloped. An inward lip roll (ILR) is a nonverbal display often seen when a person is far from their emotional baseline - and - although they're rarely fully aware - the person's psyche is attempting to suppress these strong emotions. Thus this body language is a mechanism our subconscious uses to down-regulate both the inward growth - as well as the outward display of intense emotion. It's more common to see this nonverbal down-shifting behavior associated with negative emotions (sadness, anger, frustration, etc.). An inward lip roll is an extremely common method we all use when trying to suppress tears. And yet the opposite is also true - for we all can think of examples when we found something very funny - and yet, due to the social context, we knew we shouldn't laugh - or even crack a smile. Intriguingly, during a Wedding, the emotions being felt - particularly by the parents - are often a mix of feelings - some happy and some a bit sad. It's extremely rare that a person fakes or acts an inward lip roll (even with accomplished actors) - therefore its display is a crucial insight into what a person is truly thinking-feeling. 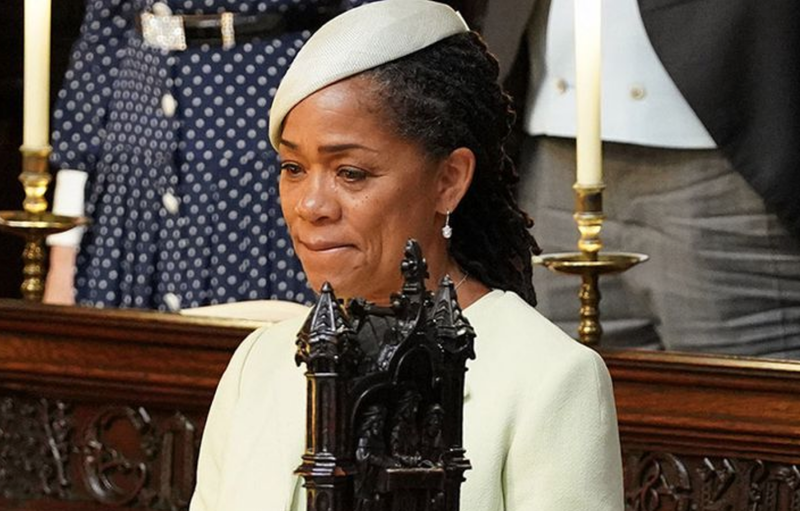 Well done Doria Ragland. Well done.